Foals of "El Gato Azul"
The First Foal Crop of "El Gato Azul" arrived in 2012. We are Very Pleased with the Consistency over the years with the Quality, Color, Athletic Ability and Temperament of his Babies. 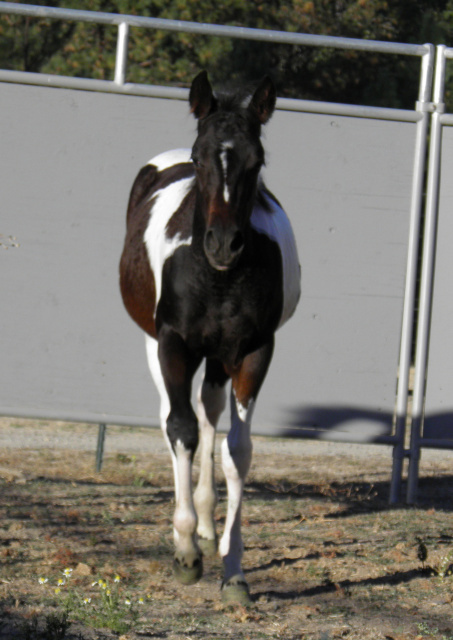 He has stamped each of his Foals with Amazing Color, Markings and Gorgeous Heads. They are Super Athletic. Each Foal is Unique in their Own Way, they all have an Amazing Temperament and Disposition. 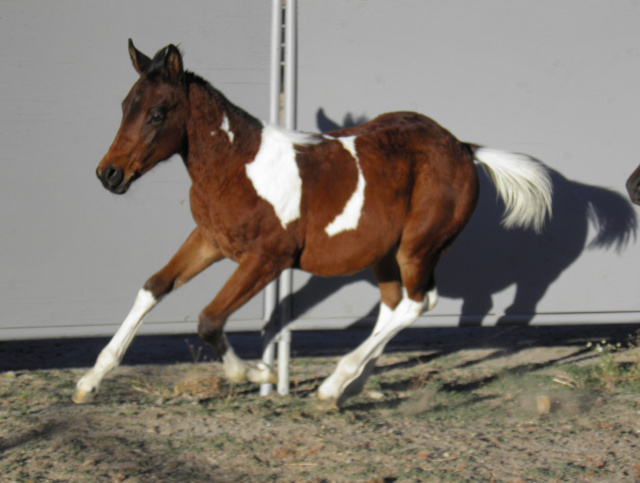 They all have been Super Easy to Handle Foals, Quick Learners and All Around Just Great Foals. Don't miss out on a Great Opportunity to Bred your Mare and Raise your own El Gato Azul Foal, or Contact us for More Information on the Availability of our Current and/or Expecting Foals that are Due. His Foals have Proven to be Awesome Babies and we know as time goes on they will become even better. 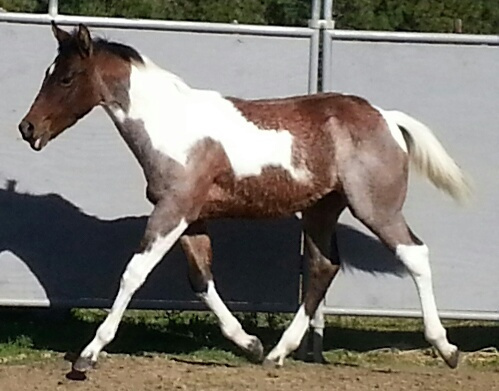 Take this time to Add a El Gato Azul foal in your barn - you will not be disappointed.